There are few men who are as quintessentially American as Sonny Barger. He is patriotic—a veteran who loves his country. He is independent—choosing his own path on his motorcycle, living life on his own terms. He is outspoken—he has boldly criticized injustices in American law and society despite the backlash this has evoked from the establishment. Yet the element that he finds most important, most sacred, most American, is freedom. 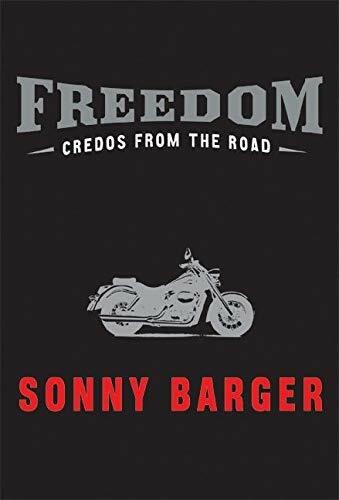 Presented in the form of fifty credos, this book gives Sonny Barger's perspective on how to live a life that embodies the most fundamental of American virtues: freedom. Ralph "Sonny" Barger is the author of Hell's Angel: The Life and Times of Sonny Barger and the Hell's Angels Motorcycle Club. A master mechanic who has owned and operated his own bike shops, he currently lives in Arizona, where he rides every day.